Early tomorrow morning there will be a lunar eclipse, visible in its totality in far western North America, the Pacific, and East Asia, but only in partiality in the contiguous United States. If the weather is cloudy or you’re out of range, you can even watch a live broadcast of the eclipse at the link above. ❡ Count and map: When you introduce your students to a new poem, especially one in a traditional form, the first thing to have them do is count the syllables and map the rhyme scheme. How many syllables in each line in this poem? Ten throughout. (And that gives you a clue about how certain words should be pronounced: Heaven’s is one long syllable, not two.) The ten syllables in each line follow a generally iambic pattern, with the accent on the second syllable of each pair. That makes this poem iambic pentameter. What about the rhyme scheme? The first two stanzas are sea–shine–line–serenity and symmetry–thine–divine–misery. That looks like ABBA ABBA. The next six lines follow a different pattern: CDE CDE. Uncovering these details of structure teaches your students that a poem of this kind is not the result of some sort of spontaneous imaginative outburst on the part of the poet; it is instead an intricately crafted piece of work that required a great deal of labor. It’s Tuesday Tea at the Library! On FDR’s birthday, take a few homeschool minutes to visit the Franklin D. Roosevelt Presidential Library in Hyde Park, New York — and share this post with your friends! ❡ Little lessons: You can find a little summary of Franklin Roosevelt’s life and presidency on pages 494–495 in your River Houses almanac (riverhouses.org/books) — just right for an educational read-aloud minute. ❡ Books in the running brooks: The sidebar on the River Houses website (riverhouses.org) has links to several important online library collections that we like to explore. The WorldCat Library Finder will help you find all the libraries in your local area, and WorldCat itself (worldcat.org) will help you locate the nearest copy of any book you please. Every Monday we pay a virtual visit to a notable museum or historical monument in the United States, all in keeping with our comfortable philosophy of “teaching with-out the curriculum.” Spend a few minutes exploring the place online with your students, look up its location your atlas (riverhouses.org/books), learn a new name or a new date, and your little lesson is done. Over the course of the year, almost without realizing it, your students will absorb a wealth of new cultural, historical, and geographical information — and so will you! The Sloss Furnaces are one of the few industrially oriented National Historic Landmarks in the country. Sloss Furnaces was once the largest manufacturer of pig iron in the world. It stands today just as it did in the late 19th century — a monument to the Industrial Revolution. With its web of pipes and towering stoves, this unique National Historic Landmark provides visitors a glimpse into Birmingham’s rich industrial heritage. It stands with pride and is a symbol of where the “Magic” began for Birmingham. Sloss Furnaces operated from 1882–1970 making it the longest continually running blast furnace in Birmingham’s history. We invite you to come visit and learn about the materials, the process, the products, and the people who ran the furnaces and built this city. If you have a “maker” student, what better place to explore online than this grand old center of industrial manufacturing. ❡ Your River Houses almanac (riverhouses.org/books) has a list of U.S. national parks and monuments on pages 425–432 and a list of notable U.S. museums on pages 247–248. The sidebar on the River Houses website (riverhouses.org) has links to the comprehensive America’s Parks website (americasparks.com), which includes national and state parks, historic sites, wildlife refuges, and more. ALABAMA (the 22nd state, 14 December 1819) — The Camellia State. Capital: Montgomery. Alabama appears on page 564 in your almanac, and on plates 42 and 142 in your atlas. Name origin: “Choctaw word for a Chickasaw tribe. First noted in accounts of Hernando de Soto expedition” (almanac page 423). 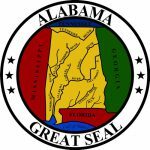 Website: alabama.gov. ❡ Little lessons: You can teach a hundred little lessons with the state-of-the-week, using your reference library (riverhouses.org/books) as a starting point. Find the state bird with your almanac and look it up in your bird guide. Trace the state’s outline with your atlas. Read the almanac’s one-paragraph history aloud each week. Using each state’s official website (above), find and copy the preamble to that state’s constitution into a commonplace book over the course of the year. Practice math skills by graphing each state’s population and area. Look up the famous state residents listed in your almanac either online or at the library. The possibilities are endless, they can be as simple or as complex as you wish, and they can be easily adjusted according to each student’s age and interests. Pick a simple pattern to follow each week, and by the end of the year, without even realizing it, your students will have absorbed a world of new geographical information. JORDAN 🇯🇴 in the Middle East. Population: 10,248,069. Capital: Amman. Website (in Arabic and English): jordan.gov.jo. KAZAKHSTAN 🇰🇿 in Central Asia. Population: 18,556,698. Capital: Astana. Website (in Kazahk, Russian, and English): government.kz. KENYA 🇰🇪 in East Africa. Population: 47,615,739. Capital: Nairobi. Website (in English): www.president.go.ke. KIRIBATI 🇰🇮 in the Pacific Ocean. Population: 108,145. Capital: Tarawa. Website (in English): www.president.gov.ki. These all appear in your current almanac, atlas, and history encyclopedia as well. For example, you’ll find the main entries for the Middle Eastern country of Jordan on almanac pages 792–793, atlas plates 79 and 134, and history encyclopedia pages 572–573, with illustrations, flags, and other mentions available through the indexes in each volume. Quick Freshes are our Sunday notes on the homeschool week ahead. Pick out one or two items below and incorporate them into your regular homeschooling schedule! ❡ Little lessons: “Did you know that the tiny Pacific Ocean nation of Kiribati, then known as the Gilbert Islands, was the scene of fierce fighting in World War II?” Your River Houses history encyclopedia will give you an overview of WWII’s Pacific Theater on pages 402–403 (riverhouses.org/books). The Moon at the beginning of this week is waxing gibbous — a good time for moonwatching (but less so for stargazing). Track the moon’s phases at timeanddate.com/moon/phases, and note that on Wednesday (31 January) there will be a lunar eclipse! Monday (29 January) — On our weekly Museums & Monuments Day, take a few minutes to explore a new place and broaden your homeschool horizons. Since Alabama is our state-of-the-week, we’re going to pay a virtual visit to Sloss Furnaces National Historic Landmark in Birmingham — come along with us! Tuesday (30 January) — Join us for Tuesday Tea at the Library, with notes on books, libraries, and literature. ⬩ Franklin D. Roosevelt, the 32nd President of the United States, was born on this day in 1882. You can find an outline of his life and presidency on pages 494–495 in your River Houses almanac (riverhouses.org/books). Wednesday (31 January) — A lunar eclipse! More notes to follow. Friday (2 February) — On this Groundhog Day, we’ll take some Friday Field & Nature Notes. Everything flows: Jordan is one of our countries-of-the-week, so our Weekly World River is the Jordan River. You can chart its course in your River Houses atlas (riverhouses.org/books), and you can read much more about its storied history in the comprehensive Jordan River entry in Wikipedia. What do you have planned for the homeschool week ahead? Take a few homeschool minutes to remember (and listen to) the great Scottish poet Robert Burns, born on this day in 1759. 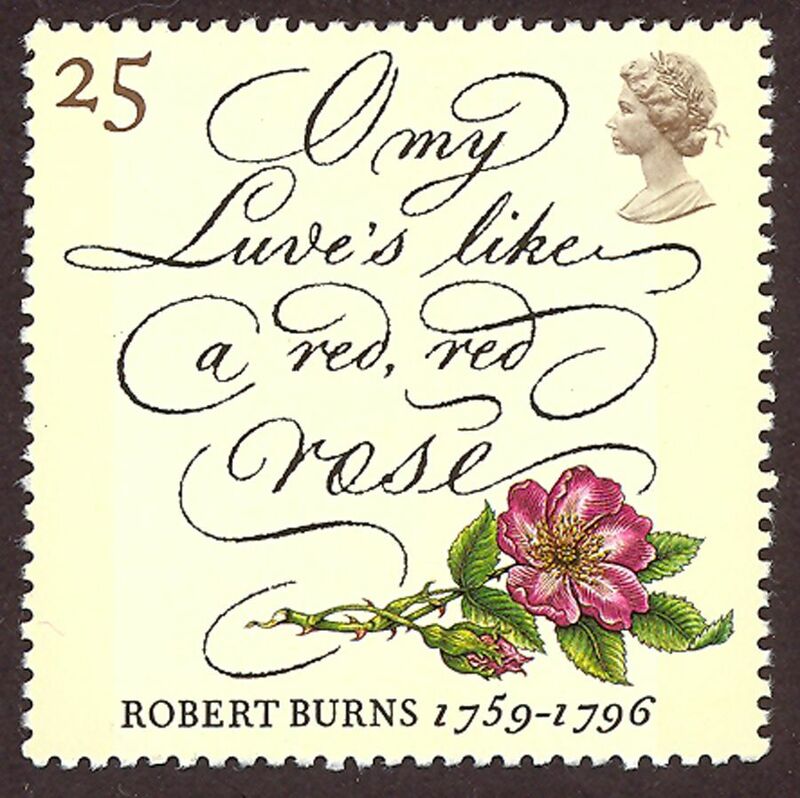 Robert Burns (1759–1796) is the much-loved national poet of Scotland, and his poems and songs have been read and sung around the world for more than 200 years. What better day to introduce him to your homeschool students than January 25th, the day of his birth in 1759. Many of Burns’ poems are written in the Scottish dialect of English — sometimes a bit difficult for beginners — but with a little practice and thought (and with occasional help from a good dictionary) their structure and imagery are easily understood. His famous poem of the departing lover who promises to return, “A Red, Red Rose,” is a fine place for any young poetry student to begin. Tuesday is Books & Libraries Day at the River Houses. This week, take a few minutes from your homeschool schedule and explore the deepest depths of the ocean (by way of the Library of Congress). All libraries, even the smallest, have a section devoted to maps and atlases. In a little town library it may only be a few shelves or a separate case set aside to hold large folio-sized books; that’s where you’ll usually find the library’s copy of the National Geographic atlas that we recommend to all homeschooling families (riverhouses.org/books). In a large city or university library the map and atlas section may be a separate room, and in the largest libraries whole departments are devoted to the collection and study of geographical reference materials. 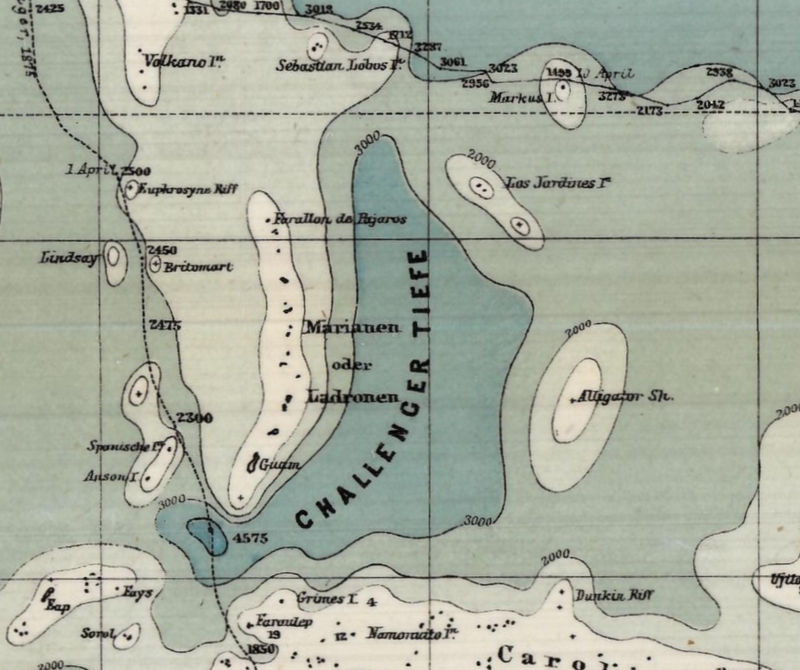 It wasn’t until the 1870s that oceanographers began to develop a generally accurate sense of the true depth of the ocean in different parts of the world, and it was the expedition of the British research ship Challenger that discovered the area now called the Challenger Deep in the southwest Pacific near the island of Guam. Spend a few minutes with your homeschool students this week exploring the beautiful map images that the Library of Congress has gathered of this lowest point on earth. And get out your recommended River Houses atlas for comparison: plate 115 illustrates the whole of the Pacific ocean floor, and right there, a little southwest of Guam, you’ll find the Challenger Deep named, at a depth (according to modern instruments) of 35,827 feet — almost 6.8 miles below the surface. Every Monday we visit a notable museum or monument in the United States, all in keeping with our comfortable philosophy of “teaching with-out the curriculum.” Spend a few minutes exploring the place online with your students, find its location your atlas (riverhouses.org/books), learn a new name or a new date, and your little lesson is done. Over the course of the year, almost without realizing it, your students will absorb a wealth of new cultural, historical, and geographical information — and so will you! The Field Museum is one of the world’s great natural history museums, and if you ever travel to Chicago you should be sure to pay it a visit in person. Established in the 1890s and named for its first great benefactor, the department store magnate Marshall Field, the Field Museum is a major scientific research center and hosts up to two million visitors each year in its public exhibit halls. If you don’t have the opportunity to make a personal visit, today you can explore many parts of the museum online, including “Inside Ancient Egypt,” the spectacular Grainger Hall of Gems, and perhaps the most famous exhibit in the museum, the giant Tyrannosaurus rex skeleton nicknamed “Sue.” The museum also has a special site for educators (fieldmuseum.org/educators) that will be of interest to all homeschool science teachers. ❡ Your River Houses almanac (riverhouses.org/books) has a list of U.S. national parks and monuments on pages 425–432 and a list of notable U.S. museums on pages 247–248. The sidebar on the River Houses website (riverhouses.org) has links to the comprehensive America’s Parks website, which includes national and state parks, historic sites, wildlife refuges, and more. ILLINOIS (the 21st state, 3 December 1818) — The Prairie State. Capital: Springfield. Illinois appears on pages 570–571 in your almanac, and on plates 41 and 142 in your atlas. Name origin: “French for Illini or ‘land of Illini,’ Algonquin word meaning ‘men’ or ‘warriors’ (almanac page 423). 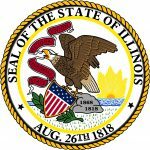 Website: www2.illinois.gov. ❡ Little lessons: You can teach a hundred little lessons with the state of the week, using your reference library (riverhouses.org/books) as a starting point. Find the state bird with your almanac and look it up in your bird guide. Trace the state’s outline with your atlas. Read the almanac’s one-paragraph history aloud each week. Using each state’s official website (above), find and copy the preamble to that state’s constitution into a commonplace book over the course of the year. Practice math skills by graphing each state’s population and area. Look up the famous state residents listed in your almanac either online or at the library. The possibilities are endless, they can be as simple or as complex as you wish, and they can easily be adjusted according to each student’s age and interests. Pick a simple pattern to follow each week, and by the end of the year, without even realizing it, your students will have absorbed a world of new geographical information. ISRAEL 🇮🇱 in the Middle East. Capital: Jerusalem. Website (in Hebrew and English): www.gov.il. ITALY 🇮🇹 in southern Europe. Capital: Rome. Website (in Italian): www.governo.it. JAMAICA 🇯🇲 in the West Indies. Capital: Kingston. Website (in English): jis.gov.jm. JAPAN 🇯🇵 in the Pacific Ocean off the coast of Asia. Capital: Tokyo. Website (in Japanese, Chinese, and English): kantei.go.jp. These all appear in your current almanac, atlas, and history encyclopedia as well. For example, you’ll find the main entries for the island nation of Japan on almanac page 792, atlas plates 91 and 134 (where you can practice reading insets on a map), and history encyclopedia pages 590–591, with illustrations, flags, and other mentions available through the indexes in each volume. What geographical discoveries have you made lately? Quick Freshes are our Sunday notes on the homeschool week ahead. ❡ Little lessons: “Did you know that many of the artistic and cultural styles we think of as characteristically Japanese originated during the ‘Edo Period’ from the 1600s to the early 1800s, when Japan cut itself off from trade with the rest of the world?” Your River Houses history encyclopedia will tell you more on pages 242–243 (riverhouses.org/books). Monday (January 22nd) is our weekly Museums & Monuments Day — take a few minutes to explore a new place and broaden your homeschooling horizons. Since Illinois is our state-of-the-week, we’re going to pay a virtual visit to the Field Museum in Chicago, one of the world’s great natural history museums. On Tuesday (January 23rd) we’ll sit down for our regular Tuesday Tea at the Library, with notes on books, libraries, and literature. On Friday (January 26th) we’ll take some Friday Field & Nature Notes. 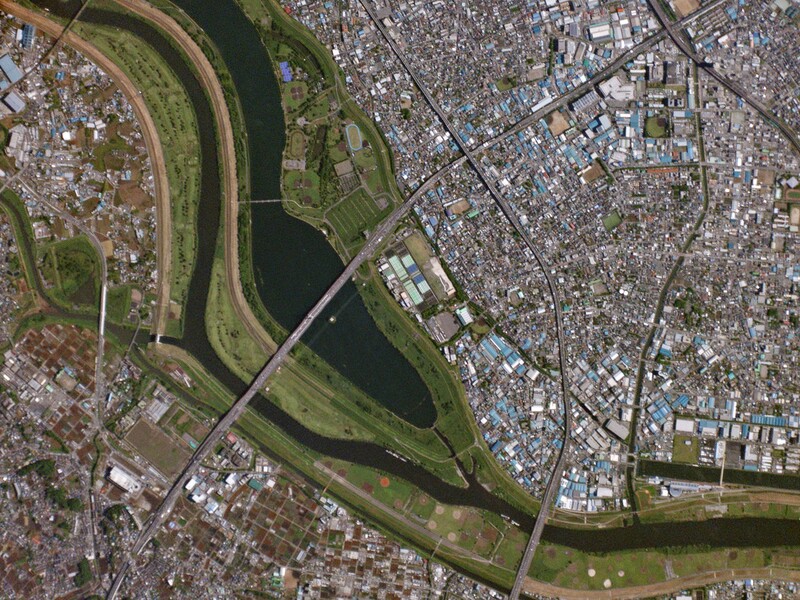 Everything flows: Our Weekly World River is the Ara or Arakawa River of Japan, the principal river of the city of Tokyo. You can find it on plate 91 in your River Houses atlas (riverhouses.org/books), but just barely. Because Japan is a mountainous island nation, it doesn’t have large river basins as continental landmasses do. You can learn more about the current state of the Arakawa in this fine article from the Japan Times newspaper. ❡ Little lessons: Most of the major cities of the world have grown up beside rivers because rivers are highways of commerce. New York is by the Hudson, London is by the Thames, and Tokyo is by the Arakawa. How many cities (and even small towns) near you owe their placement to a nearby river? 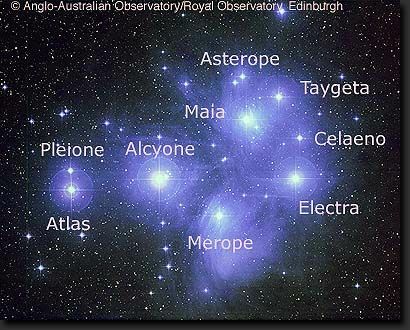 On Fridays we post practical homeschooling notes on natural history and astronomy, and today we’re going to make the acquaintance of the Seven Sisters of the night sky, the Pleiades. Last Tuesday was the night of the new moon, when the sky is naturally darkest, so this weekend will still be a good time for stargazing, with only a little interference from a slim lunar crescent. If the sky is clear tonight or tomorrow, go out with your students and find the Pleiades, and make them friends for life. The Pleiades are a beautiful, compact group of blue-white stars within the constellation Taurus, readily visible to the naked eye and spectacular through binoculars. At this time of year they are well above the horizon at sunset and are high overhead for most of the evening. The six or seven brightest stars that form the group are arranged into a tiny dipper (not to be confused with the Big Dipper in the constellation Ursa Major, the Great Bear). Your recommended star atlas (riverhouses.org/books) has a planisphere on the front that lets you dial up the night sky for any day and hour of the year, and the description of the constellation Taurus on pages 16–17 will provide additional details. The Pleiades are a true star cluster, close to one another in space — they aren’t simply an accidental grouping along our line of sight as most constellations are. They are also quite near to us, at least as stellar distances go: current estimates put them about 400 light years away, meaning the light you see from them tonight left those stars around the year 1600. Because the Pleiades cluster is so conspicuous, it has been recognized and named by most northern hemisphere cultures throughout history and has played a prominent role in literature and mythology. For the ancient Greeks, the Pleiades were seven sisters, the daughters of Atlas, one of the Titans, and the sea-nymph Pleione, placed in the heavens by Zeus to protect them from the depredations of mortal life. Tuesday is Books & Libraries Day at the River Houses. Since yesterday was Martin Luther King Jr. Day in the United States, why not take a few homeschool minutes today to view some King documents at the National Archives. That’s a perfect page for homeschool students and teachers to spend a few minutes with today, in discussion over lunch or sitting around the study table during the evening. ❡ Books in the running brooks: The sidebar on the River Houses website (riverhouses.org) has links to several important online library collections that we like to explore. The WorldCat Library Finder will help you find all the libraries in your local area, and WorldCat itself will help you locate the nearest copy of almost any book your heart desires. Visit a museum or historical monument every Monday and broaden your homeschool horizons. This week: the Martin Luther King Jr. National Historical Park in Atlanta, Georgia. The King National Historical Park includes a modern visitor center and a collection of adjacent sites that were important in the life of the great American civil rights leader, including King’s birth home, the historic Ebenezer Baptist Church where King and his father both preached, and the gravesite of King and his wife Coretta Scott King. Browse the National Park Service’s website for the park to learn more, and maybe make plans for a future visit in person! ❡ Your River Houses history encyclopedia (riverhouses.org/books) has an excellent illustrated summary of the life and work of Martin Luther King on pages 432–433. Your River Houses almanac has a list of U.S. national parks and monuments on pages 425–432, and the sidebar on the River Houses website (riverhouses.org) has links to the comprehensive America’s Parks website, which includes national and state parks, historic sites, wildlife refuges, and more. Tour the United States and travel the countries of the world each week with the River Houses. Our Sunday States-and-Countries posts will point the way. MISSISSIPPI (the 20th state, 10 December 1817) — The Magnolia State. Capital: Jackson. Mississippi appears on page 577 in your almanac, and on plates 40, 42, and 142 in your atlas. Name origin: “Probably Chippewa mici zibi, meaning ‘great river’ or ‘gathering-in of all the waters.’ Also Algonquin word messipi” (almanac page 423). 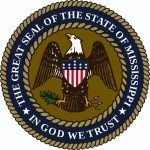 Website: www.mississippi.gov. ❡ Little lessons: You can teach a dozen little lessons with the state of the week, using your reference library (riverhouses.org/books) as a starting point. Find the state bird with your almanac and look it up in your bird guide. Trace the state’s outline with your atlas. Read the almanac’s one-paragraph history aloud each week. Using each state’s official website (above), find and copy the preamble to that state’s constitution into a commonplace book over the course of the year. Practice math skills by graphing each state’s population and area. Look up the famous state residents listed in your almanac either online or at the library. The possibilities are endless, they can be as simple or as complex as you wish, and they can be easily adjusted according to each student’s age and interests. Pick a pattern to follow each week, and by the end of the year, without even realizing it, your students will have absorbed a world of new geographical information. INDONESIA 🇮🇩 in southeast Asia. Capital: Jakarta. Website (in Bahasa Indonesia): www.indonesia.go.id. IRAN 🇮🇷 in southwest Asia. Capital: Tehran. Website (in Farsi, Arabic, and English): www.president.ir. IRAQ 🇮🇶 in the Middle East. Capital: Baghdad. Website (in Arabic and English): www.pmo.iq. IRELAND 🇮🇪 in western Europe. Capital: Dublin. Website (in English and Irish): www.gov.ie. These all appear in your current almanac, atlas, and history encyclopedia as well. For example, you’ll find the main entries for Iraq on almanac pages 787–788, atlas plates 81 and 134, and history encyclopedia page 576, with illustrations, flags, and other mentions available through the indexes in each volume. Our state-of-the-week is Mississippi, and our countries are Indonesia, Iran, Iraq, and Ireland. Little lessons: “Did you know one of the ancient names for Iraq is Mesopotamia, which is Greek for ‘between the rivers’?” Your River Houses history encyclopedia will tell you more on pages 54–55 (riverhouses.org/books). Monday (January 15th) is our weekly Museums & Monuments Day. It’s also Martin Luther King Jr. Day in the United States, so we’ll be celebrating the life of the great American civil rights leader with a virtual visit to the Martin Luther King Jr. National Historical Park in Atlanta, Georgia. On Tuesday (January 16th) we’ll sit down for our regular Tuesday Tea at the Library, with notes on books, libraries, and literature. The 16th will also be the night of the New Moon — a good night for stargazing! On Friday (January 19th) we’ll take some Friday Nature Notes. Everything flows: Our Weekly World River is the great Tigris of Turkey and Iraq, one of the most important rivers is human history. You can chart its course in your River Houses atlas and look up its length in your almanac (riverhouses.org/books), and you can read much more about it in the comprehensive Tigris entry in Wikipedia.